Spray 4 to 5-quart slow cooker with nonstick cooking spray. 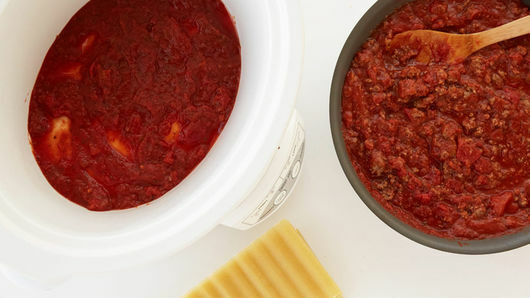 Spread 3/4 cup of the tomato pasta sauce in bottom of sprayed slow cooker. 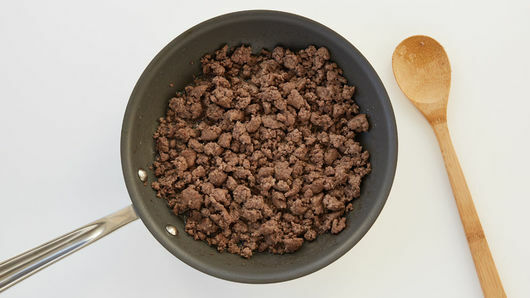 Stir remaining tomato pasta sauce and tomato sauce into ground beef. Layer 3 lasagna noodles over sauce in slow cooker, breaking noodles as necessary. Top with 1/3 of the Alfredo pasta sauce, spreading evenly. Sprinkle with 1 cup of the mozzarella cheese. Top with 1/3 of the ground beef mixture, spreading evenly. Repeat layering twice, using 2 lasagna noodles in last layer. Sprinkle Parmesan cheese over top. Cover; cook on Low setting for 3 1/2 to 4 1/2 hours. If desired, cut into wedges to serve. Something as simple as chopped fresh parsley will dress up this lasagna. Sprinkle on the parsley just before serving. Generally, pasta does not hold its shape well during slow cooking. However, no-boil lasagna noodles are an exception and pair perfectly with this lasagna’s creamy sauce! 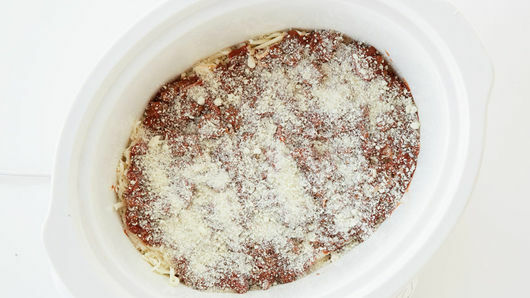 Lasagna that only requires seven ingredients and can be made in the slow cooker? Where do we sign up? No-boil lasagna noodles make it all possible. No-boil noodles can be found in the same aisle as regular lasagna noodles at the grocery store. The reason they are able to cook without having to spend a few minutes in boiling hot water is because they get moisture from the pasta sauce so they can cook during the baking process. That’s why this slow-cooker lasagna calls for both a tomato-based sauce and an Alfredo pasta sauce, which we have no complaints about! There’s much more to learn about how to master a lasagna recipe that you’ll make again and again. 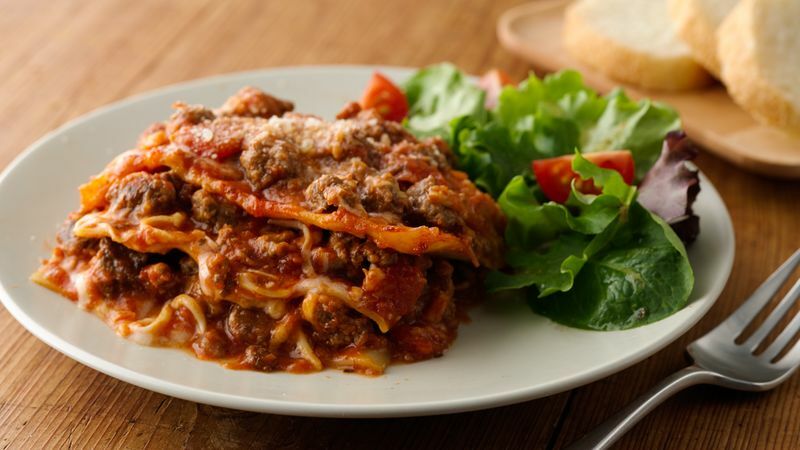 If you haven’t already, read our easy step-by-step on how to foolproof your lasagna recipe.